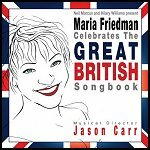 performance, warm, glowing and captivating"
"The greatest show singer of her generation"
Maria releases her new CD - Maria Friedman Celebrates The Great British Songbook - on 13 April 2010. This 15 track CD is based on the short season of concerts she played under the same title at the Shaw Theatre in London in February 2009. 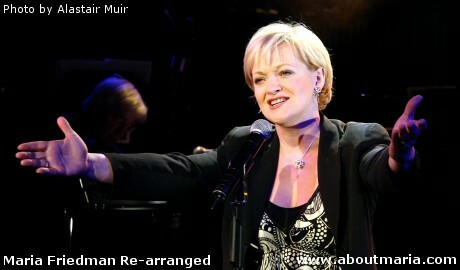 Signed copies are available to order from Dress Circle - buy online now! 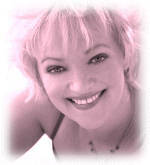 Maria is scheduled to make a personal appearance at Dress Circle in London on Saturday 10 April 2010 to launch her new CD - Maria Friedman Celebrates The Great British Songbook - she is expected to be in store to sign copies of the new CD from 1.00pm.